If Texas sheriffs do not cooperate with federal immigration authorities, they will face losing state grant money, Gov. Greg Abbott said Wednesday. *Editor's note: This story has been updated to include a response from Dallas County. 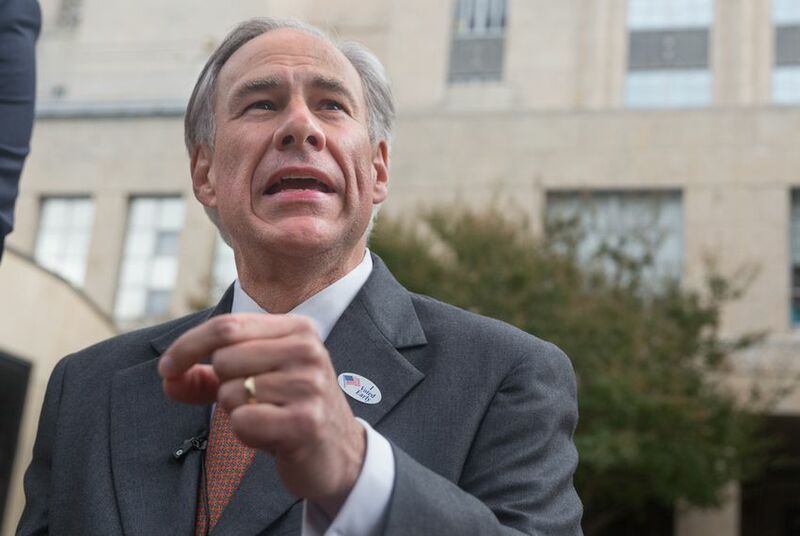 Abbott, a Republican, announced the new policy in a letter to Dallas County Sheriff Lupe Valdez, who has come under fire for saying she would begin making case-by-case decisions on whether to honor federal detainers for inmates. Those detainers ask county jails to hold undocumented immigrants with criminal records for up to 48 hours after they are set to be released so that federal authorities can come take them into custody. The governor's criminal justice grants provide counties with funding for a range of resources, including drug courts, juvenile justice programs and body cameras. So far this calendar year, Abbott's office has awarded $4 million in criminal justice grants, $78,000 of it to Dallas County. “Beginning now, all [criminal justice division] grant awards will require that sheriff’s departments fully honor [U.S. Customs and Immigration Enforcement] detention requests for criminal immigrants," Abbott wrote in his letter. "Any applicant that cannot certify that their office will honor all ICE detainers for criminal immigrants will be ineligible for CJD funding." Last week, Abbott reprimanded Valdez in a public letter for softening her approach to detaining undocumented immigrants booked into her jails, saying it posed a “serious danger to Texans.” The governor, who has said state laws addressing the issue must wait until the Legislature returns in 2017, has faced criticism from some conservatives for not immediately taking action to crack down on jails that free undocumented immigrants rather than hand them over to the feds. On Wednesday, a spokesman for the Dallas County Sheriff's Office declined to comment on the latest salvo from the governor. "Because of the ongoing litigation and the lawsuit that was filed by several plaintiffs regarding immigration detainers, the sheriff has no comment at this time," said Deputy Raul Reyna. Last month, 16 plaintiffs filed a federal lawsuit against Valdez, claiming that honoring federal ICE detainers on foreign-born jail inmates who have otherwise been cleared for release violates their Fourth Amendment rights to be protected from unreasonable arrests and seizure. Aman Batheja and Terri Langford contributed to this report.